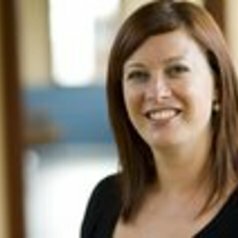 Jaelea Skehan is the Director of the Hunter Institute of Mental Health and a Conjoint Teaching Fellow with the School of Medicine and Public Health at the University of Newcastle. She is a registered psychologist with expertise in the prevention of mental ill-health and the prevention of suicide. Jaelea is an advocate for finding better connections between research and practice and for ensuring a national focus on the promotion of mental health and wellbeing, and the prevention of mental ill-health to complement treatment and recovery approaches. Jaelea is known for specific expertise in media reporting and portrayal of suicide and mental illness. She developed and led the Mindframe National Media Initiative in Australia for over 10 years and is a member of the International Taskforce for Suicide and the Media and has written a number of peer-reviewed publications about suicide and the media and mental illness and the media. Jaelea has also led a number of state and national policy initiative, training in mental health and suicide prevention and research partnerships to advance knowledge and practice. Integrating the reporting of suicide and mental illness into journalism curricula, Journalism and Mass Communication Educator. Keeping Pace with Current Issues in Reporting Suicide and Mental Illness, Journal of University Teaching and Learning Practice, 4(2), 107-118. Effectiveness of briefings to promote understanding of reporting suicide and mental illness, Australian Journalism Review, 28(2): 113-126. Reach, Awareness and Uptake of Media Guidelines for Reporting Suicide and Mental Illness, International Journal of Mental Health Promotion, 8(4): 28-34. Reporting suicide and mental illness for Indigenous Australians, Australian Journalism Review, 27(2):25-42.